I have been re-reading this precious book, “Words to Winners of Souls” little by little, using it to fire my soul, especially on days of prayer and fasting. 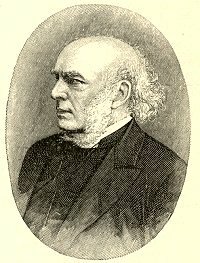 Horatius Bonar was a Scottish minister from the past who had a zeal to see pastors awake and alive to the issues of eternity and the need to win souls. This book is aimed at pastors, but beneficial to others. My copy was given to me over 1o years ago by Pastor Michael Crawford, and I can remember reading it together and praying in his study. You can get it at amazon.com or a discount version at Chapel Library. The most important aspect of being a soul-winner is a close and lively walk with God. By this Bonar means a life of complete consecration to prayer and the word. We fire our souls during time alone with God. He quotes John Berridge, “It is much to be feared that we are weak in the pulpit because we are weak in the closet.” (p.11) He says with great skill that we should study the lives of great men of the past more than their sermons, because the power of their closeness to Christ is was brought blessing. I was struck while looking through a hymnal that Bonar thought about this a lot. He also wrote this hymn which is a poetic expression of these ideas. I just printed a copy of this and taped it above my desk to stir me to this kind of zeal.